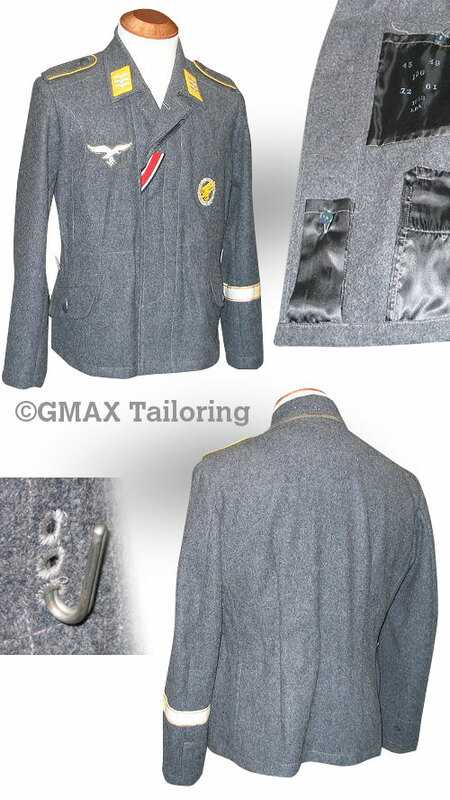 Correctly sized and stitched on a green cloth background, we can make any rank- on demand, for your Luftwaffe uniforms. Please email us your request for sleeve rank, from 1 set to 50. We now offer a good selection of Military Art, from renowned artists Robert Bailey and Ron Volstad. From Black & White pencil sketches to Colour Armor. Click here for a list of what's in stock. 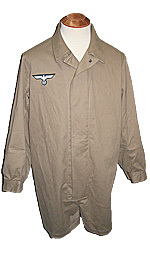 Luftwaffe ItemsOur Luftwaffe uniforms, headgear and accessories. 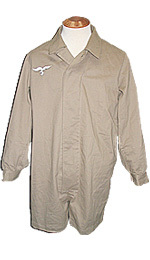 All of our Luftwaffe uniforms are patterned off originals, owned by us or in high-end collections. 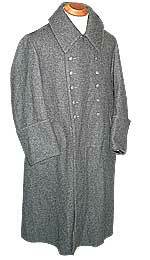 We've copied these items from the original patterns and every fine detail in the tailoring is faithfully reproduced. 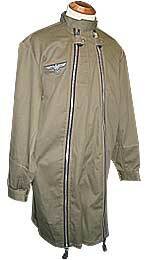 Luftwaffe Helferin UniformsComplete impressions availalbe, please enquire. 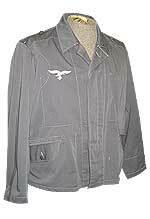 We tailor the Luftwaffe Helferin uniforms. There's a number of options available, we will make this as a set or individual pieces, to customer specifications. 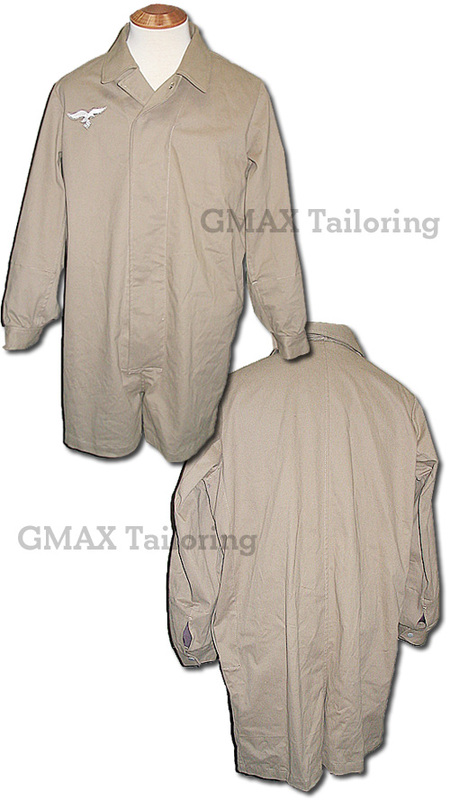 The jacket can be made with or without the belt. Please make sure you enquire about insignia options. For more detail, click on the photo at right. To order,click on the ordering link for more details. Made in Canada. Luftwaffe Quilted Winter ParkasCustom-made parka sets made to your specifications. Our Luftwaffe quilted winter parka sets are made out of our quilted winter material for the perfect Luftwaffe winter impression, made to customer specifications. 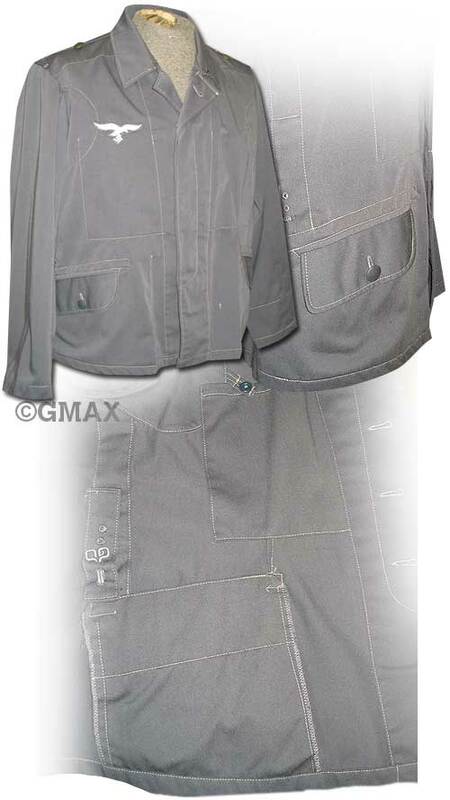 The Luftwaffe parka pants can be made as well as the Luftwaffe parka itself. 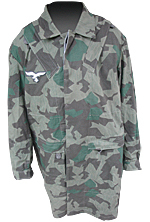 Luftwaffe Splinter 'Bonesacks'Assorted camouflage patterns available, please enquire.. 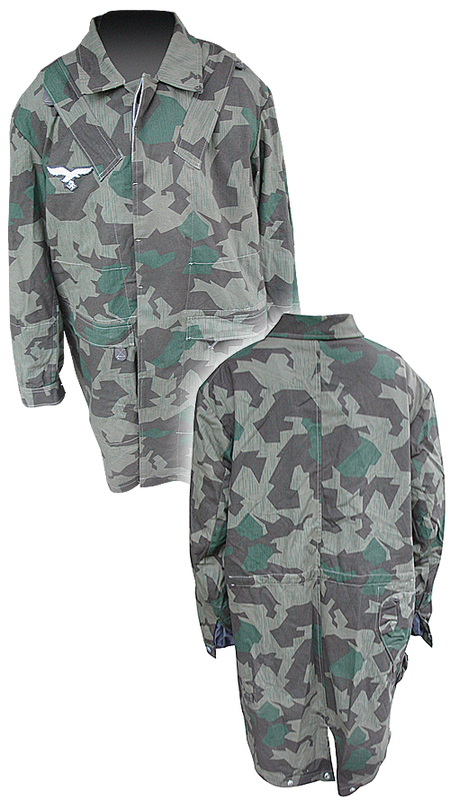 Produced for the German Fallschirmjäger (Paratroops), this 'third' model 'bonesack' is made of high quality Splinter camouflage material, with high-quality zips and buttons. Our Splinter material is made correctly, off original patterns and reproduces faithfully, the wartime patterns, often copied but clumsily made by many vendors. For more detail, click on the photo at right. To order,click on the ordering link to be directed to our Canadian Supplier, Militarytour, for more details. Made in Canada. Luftwaffe Early/Pre War 'Bonesacks'Complete Fallschirmjäger impressions availalbe, please enquire. 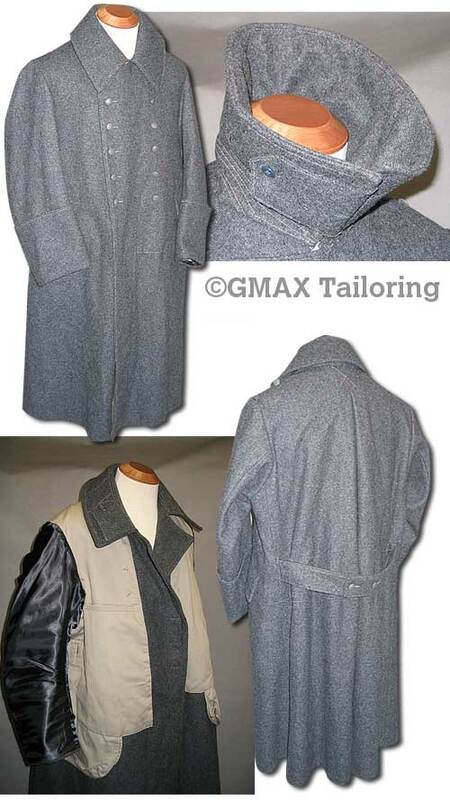 Only at G-Max Tailoring, can you find all three models of the early/pre war 'Bonesacks' produced for the German Fallschirmjäger (Paratroops). Our 3 variants are made with high-quality zips and buttons. Be sure to specify which model of the jumpsmock you wish to order. For more detail, click on the individual photos. To order,click on the ordering link for more details. Made in Canada. Luftwaffe Tropical 'M43' FeldbluseComplete impressions availalbe, please enquire. 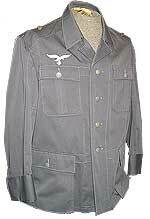 M43-style feldbluse, made in lightweight tropical blue material, often referred to as the Luftwaffe 'Service Jacket' used by Flak crew. 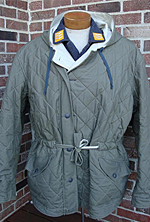 l is made correctly, off original patterns and reproduces faithfully, the wartime patterns, often copied but clumsily made by many vendors, with proper angled pocket flaps and quality tailoring and buttons. 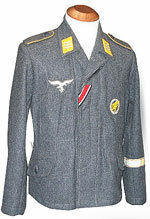 Luftwaffe Tropical 'Fliegerbluse'Wool Fliegerblusen also available, please enquire.. The Tropical'lightweight' variant of the Luftwaffe 'Fliegerbluse', used by pilots and Fallschirmjäger alike, in warmer climates. We also make the wool variant, please enquire. The Fliegerbluse is made from original patterns and has all the stitch and tailored detail of the original items. Proper buttons and snaps are included in the Fliegerbluse. Luftwaffe Mantels (Overcoats)We made both the M40 and the M42 variants of the mantel. Our Luftwaffe Mantels are available in 'M40' or 'M42' styles. Made from Luftwaffe blue wool, our mantels include the proper enclosure buttons and windsnaps under the collar and the collar lengths and sizes are appropriate for either the M40 or M42 model you order. Made from original samples and patterns, our Luftwaffe mantel will keep you warm and toasty when the temperatures dip. 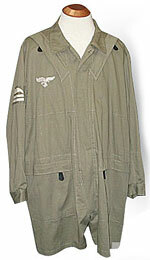 Luftwaffe Double-zip 'Bonesacks' Early model double-zip jumpsmocks. 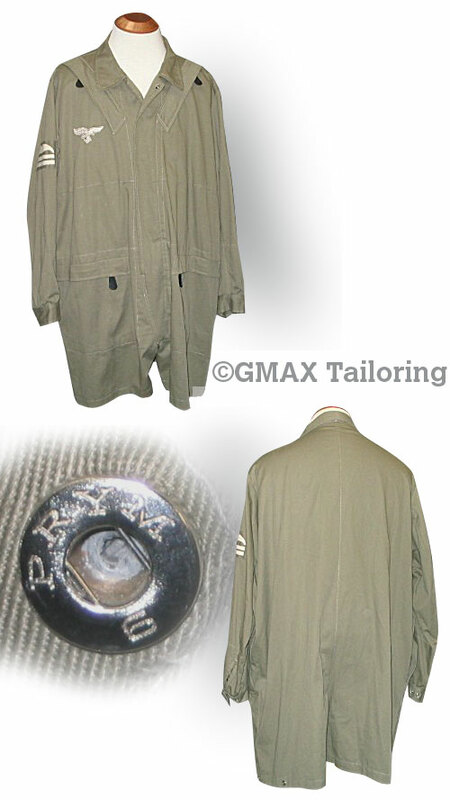 Early variant of the Paratrooper jumpsmock, made in the 'double-zip' style. 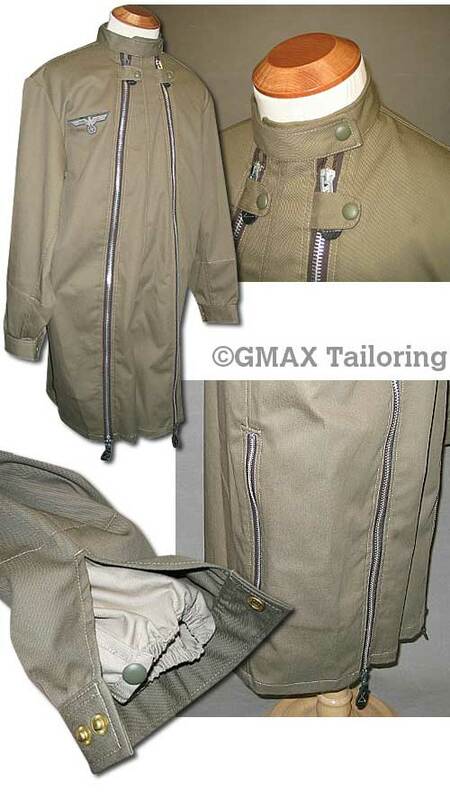 Quality modern zippers and snaps complete the 'Bonesack' in a model offered by none of our competitors. The variant is beautifully tailored and ruggedly made. 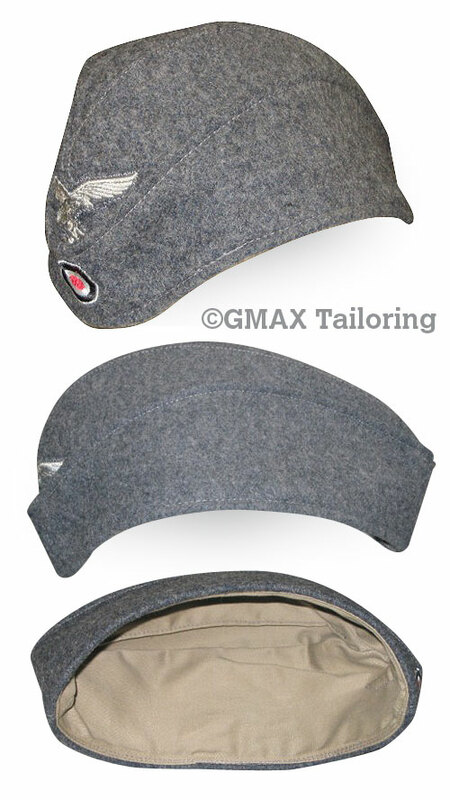 Luftwaffe 'M40' Style SidecapsOther Luftwaffe headgear is available, please enquire.. Known as the 'sidecap' or 'overseas' cap, our Luftwaffe 'm40' variants are made form quality wool and shaped in the proper Luftwaffe profile. 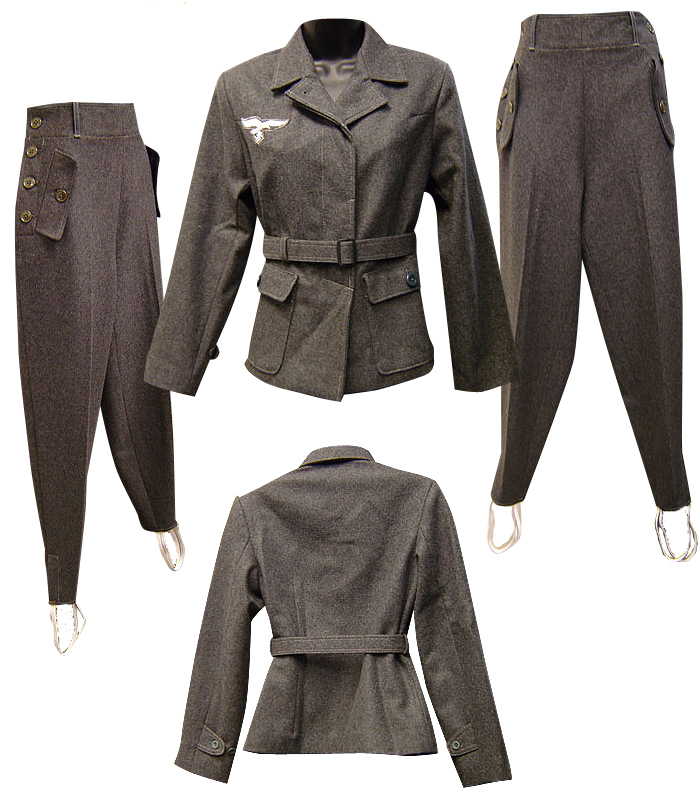 Luftwaffe Early-War 'Bonesacks'Complete impressions availalbe, please enquire. 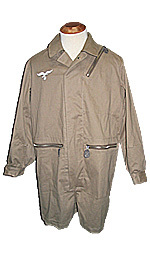 Another early-war model of the Luftwaffe jumpsmock for the paratroops, this model includes quality PRYM snaps and high quality tailoring. Early model insignia, from breast eagles to sleeve rank, are available, we will custom tailor your jumpsmock to your specifications. Luftwaffe FliegerbluseAlso available in tropical weight, see above for details. 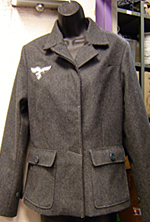 The wool variant of the Luftwaffe 'Fliegerbluse', used by aircrew and Fallschirmjäger alike. We also make the tropical variant, please enquire. The Fliegerbluse is made from original patterns and has all the stitch and tailored detail of the original items. Proper buttons and snaps are included in the Fliegerbluse. We can tailor your Fliegerbluse with insignia and awards, on a per customer basis, please enquire. 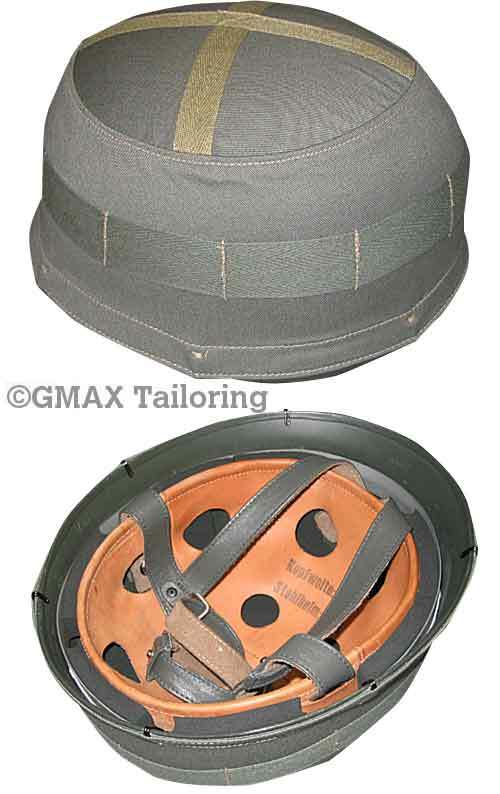 Luftwaffe Fallschirmjäger Helmet CoversHook and Drawstring models available. We offer both 'hook' and 'drawstring' models. 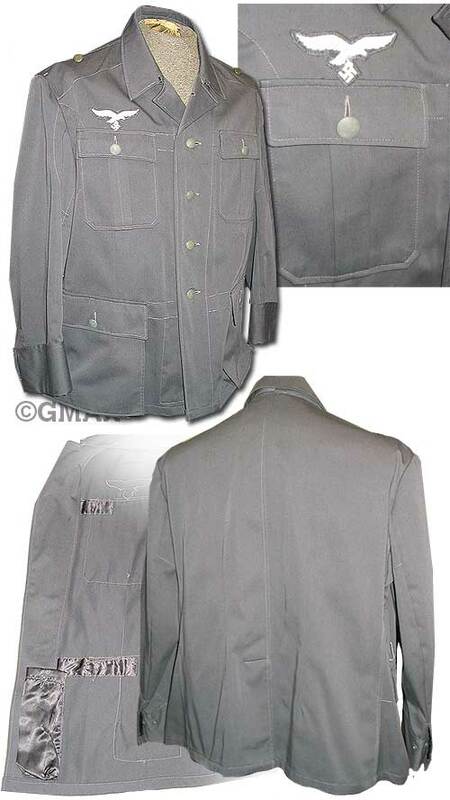 You can have yours made in Splinter or the early war 'grey' materials. Please specify when ordering, which pattern, model, and what size helmet they are for.